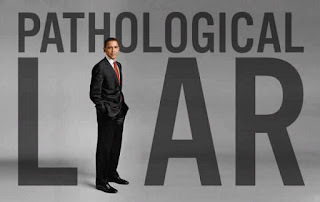 Doug Ross @ Journal: FBI: Uhm, remember Obama’s pre-election claim that 'mass shootings are up'? Yeah, that was a lie. FBI: Uhm, remember Obama’s pre-election claim that 'mass shootings are up'? Yeah, that was a lie. But now that the elections are over, now the FBI can admit that the whole thing was a pile of lies. John Lott of the Crime Prevention Research Center—who has studied FBI crime data for three decades—told me in an interview that the FBI report is better understood as a political document than as a work of serious social science. For example, the authors chose the year 2000 as their starting point “even though anyone who has studied these trends knows that 2000 and 2001 were unusually quiet and had few mass shootings.” Data going back to the mid-1970s is readily available but was ignored. How come? Over the past 40 years, there has been no statistically significant increase in mass shootings in the U.S.
You are a serious fool to ever believe a word out of the mouth of ANYONE in this administration. Read more at Warner Todd Huston at PubliusForum.com.